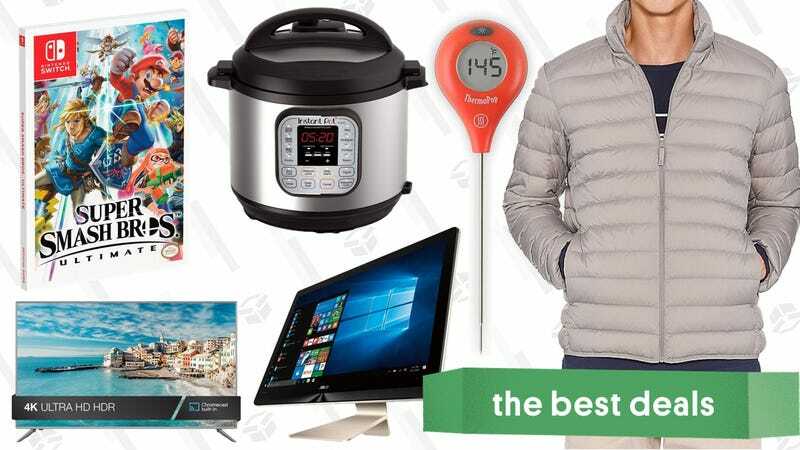 $15 off an Instant Pot, ultra-affordable 4K TVs, and one of the best deals we’ve ever seen on a ThermoWorks meat thermometer lead off Thursday’s best deals. Update: Back in stock, if you missed it this morning. We see good deals on Philips Hue starter kits fairly often. But if you already have a Hue system set up, it’s very rare to see individual bulbs for more than $110 off, so stock up before today’s $14 discount expires! This is the best deal we’ve seen all year. Update: This is the last day of the campaign, so get your pledge in now if you want to save. Get down with the fall and winter weather with Uniqlo’s Ultra Light Down sale. Vests, jackets, and hooded parkas for men and women are all $10 off right now, and they were really affordable to begin with. I have the parka myself, and love it. Just note that these prices are only available today. While cheaper, simpler Harry Potter box sets exist, to separate the true Potterheads from the muggles, they also sell this Hogwarts special edition box set with 45 hours of special features, Blu-ray discs of all eight movies, and a bonus documentary, Creating the World of Harry Potter. $100 is the best price Amazon’s listed all year, so cast your accio spell (it may take two days) before it disappears.